What might a new system look like? There’s no harm in speculating, so here goes. Given that money is a construct, not naturally occurring, but that lots of people do not see it as such, and therefore cannot imagine life without money/finance/transactions and so on, how about a revolution where money is available to all – as available to the homeless, the starving, the young, the old, just basically no restrictions where access to it is concerned? Such access to money would surely cut the majority of unethical and illegal behaviour around the world (more on this in a future post), and would continue to placate those who love the fallacy of a monetary system, so everyone wins, when you think about it. Those who like to work can continue to work, and let’s face it, work does provide a certain routine that can be useful – if anyone reading this has ever had occasion to claim benefits for an extended period, or knows someone who does, you’ll know how miserable, repetitive (but not in a good way), monotonous life can be without a ‘purpose.’ And of course, jobs would still need to be done following a revolution, I mean we all need to eat, and sanitation is a good idea, but there would be greater emphasis on ethical ideas following such a revolution because when it’s not all about the money (and the possession of it, leading to hatred, war, famine, disease, etc. ), the greatest ideas can take hold, using human potential for way better things than mining Alaska for oil, for instance, or for drilling asteroids and/or comets for diamonds, or for hoarding huge stocks of food in one part of the world whilst on the other side of the world millions starve to death. But anyway, the point is that for those fearful of revolution (and surely none of us wants the violence associated with The Glorious Revolution, or The American Revolution, or The French Revolution, or The Russian Revolution, or The Chinese Revolution, you get the point here?) the actual act of revolution does not need to be/look/seem so different from what happens in the world presently. But first we must just stop and consider for a moment how obscene it is that hundreds of thousands of people will, today and everyday most likely, be spending money in shopping malls buying stuff they really don’t need, when they stop and analyse things, whilst millions starve, die, are mistreated by others, kill each other with weapons of hate. Remove money from the equation, and this is ‘money’ that is not available to all, and many problems disappear. 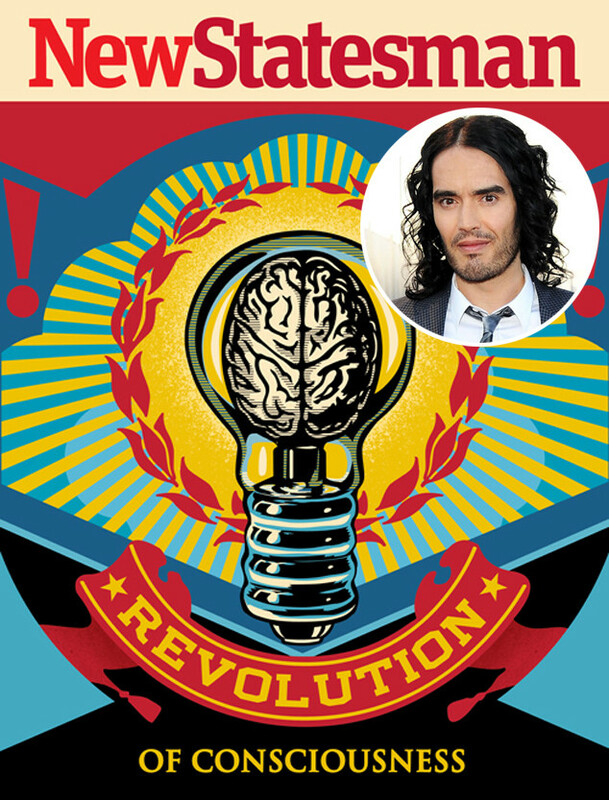 So there’s a brief, of the top of the head type suggestion, inspired by Russell Brand’s Revolution. This entry was posted on Monday, December 29th, 2014 at 11:00 am	and tagged with anti-capitalist, revolution, Russell Brand and posted in Revolution. You can follow any responses to this entry through the RSS 2.0 feed.